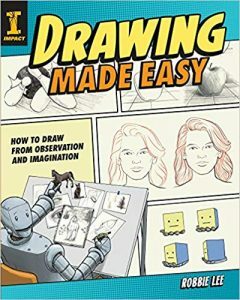 This book reminds me of a basic drawing college class that I took (and enjoyed tremendously) years ago. The attitude the author takes makes a huge difference in the way a non-artist can approach and finish projects. The projects in this book are fairly basic though the subjects are covered in plenty of detail. I’ll include a photo of the table of contents below. 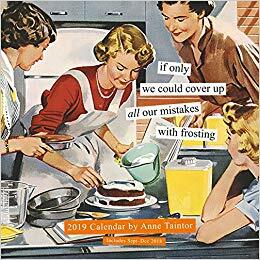 I picked up my first Anne Taintor wall calendar last year and I laughed my way through the year. It was a very easy decision to get it again this year. I use this particular calendar in my laundry room as it is the spot where I most appreciate the humor of it. The calendar is well made and standard size for a wall calendar. The paper is a good medium weight with a semi-gloss finish. It has a small hole for hanging. I think it is perfect for that special friend or even as a great office exchange or Secret Santa gift. 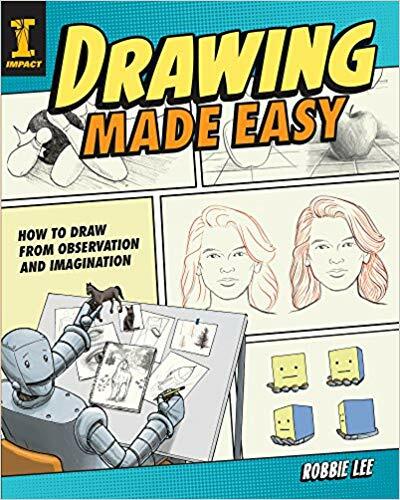 It wasn’t until I received the digital version of this book from the publisher that I found it was geared toward those with intermediate to advanced skills. The author, Sarah Thompson, has an earlier book which is for beginners, which is what I am. 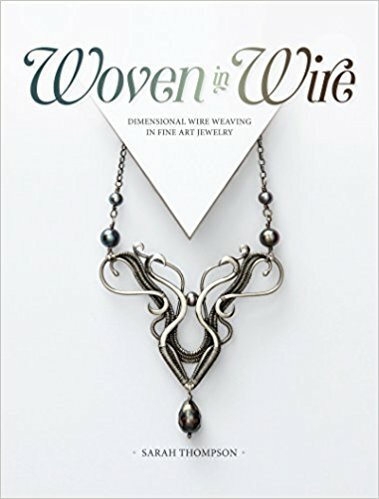 I purchased that book and am enjoying learning the process of making beautiful woven wire jewelry. I was inspired to buy that book because of the projects in this one. I will be purchasing this book as well when I am comfortable with the results I achieve with the first book. 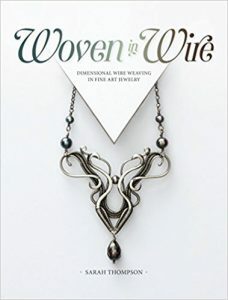 I have crocheted for more than 30 years and am still always open to learning new ways of looking at the art. 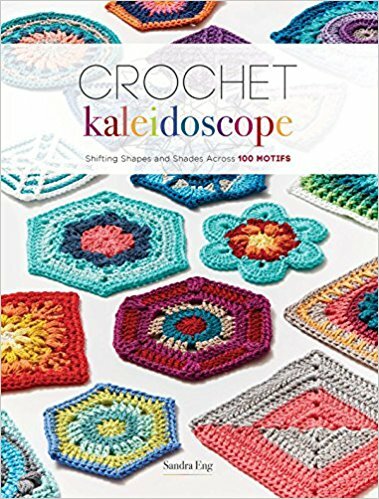 In this book, the author Sandra Eng, brings in the concept of the color wheel and how to use it to produce motifs that can either be soothing or arresting to see. She uses a single type of yarn, Cascade Yarns Ultra Pima cotton to show the examples in the book. 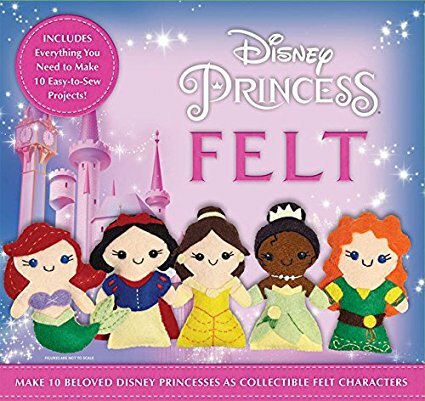 While that makes for a consistent visual experience for the motif examples, I would have liked to have seen some other types/weights of yarn used in the projects that are included in the book. Apart from this small nit, I am very pleased with the book overall. 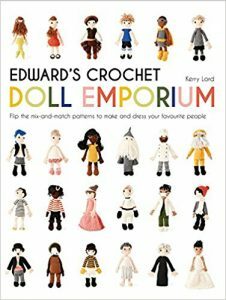 I own several of Kerry Lord’s crochet books and have been enjoying her last one based on monsters. 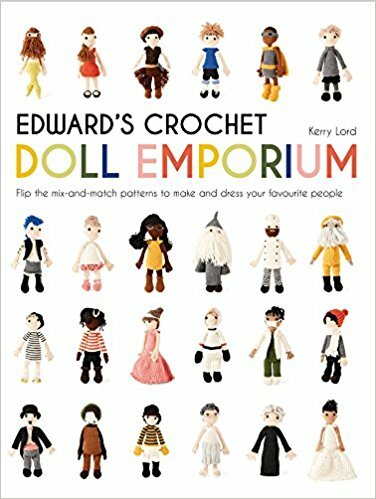 This time, she brings a pick and choose style book based on dolls. There are flip pages which show heads and bodies and you choose which one goes with which. Note that, once again, the instructions are provided in UK terms. Essentially, for the purposes of this book, UK dc (double crochet) is equal to US sc (single crochet.) To get full equivalents for UK/US terms, you can easily find them on the internet. I am a huge fan of Mary Engelbreit’s artwork. I buy various household goods, calendars and coloring books to enjoy her wonderful artistic style. I’ve even cross stitched a wonderful designs (Chair of Bowlies) which I keep in my office. I always buy this size calendar to keep track of my weekly comings and goings. The calendar is a fairly standard size for a weekly one. It has a spiral binding for ease of keeping flat. The image is on the left side and the calendar is on the right. At the front there is a monthly calendar as well. 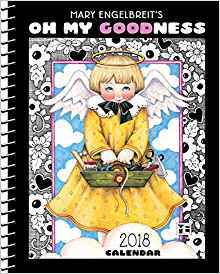 At the back, there is a list of holidays, a look ahead at 2019 and some pages for names and telephone numbers of important people in your life. We have an unusual use for the calendar once the year is done. My husband loves to make wood jigsaw puzzles and this small size image works great. He glues the page to a piece of plywood and then uses his jigsaw to cut it into whirly-twirly pieces. When he’s done, we have a puzzle to enjoy for years and to hand down to our children and grandchildren thereafter. This is a lovely book of crochet patterns for a variety of characters from L. Frank Baum’s “The Wizard of Oz”. 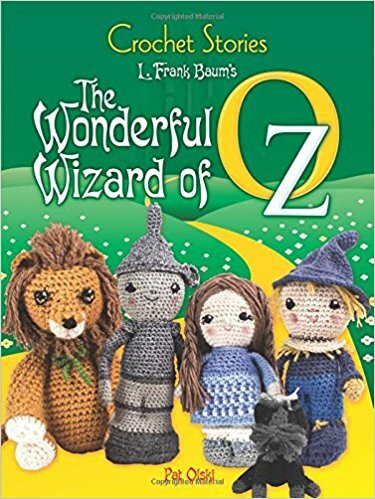 The figures included are: Dorothy, Toto, Aunt Em, Uncle Henry, a Munchkin, Good Witch of the North, Wicked Witch of the East (House and Shoes), Yellow Brick Road, Scarecrow, Tin Woodman, Cowardly Lion, Poppy, Emerald City Spectacles, the Wizard of Oz, Wicked Witch of the West, Golden Cap, Winged Monkey, Water Bucket, and Glinda. 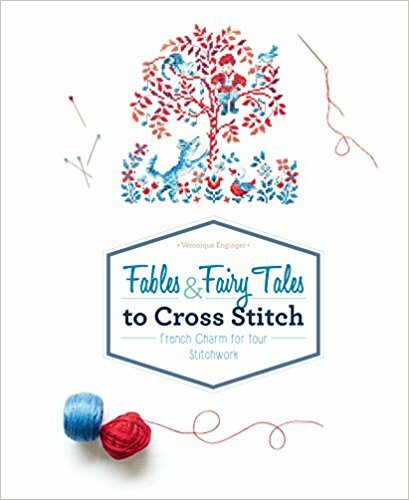 In addition to the patterns, there is a very short version of the story included with some cute photos of the crochet characters. I have a number of books which explain color theory and the use of colored pencils; however, those books focus on drawing with the medium rather than coloring in coloring books. 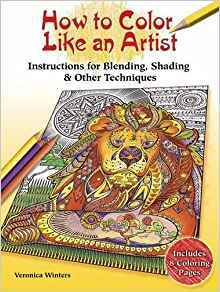 In this book, the author has explained a wide variety of ways to use colored pencils specifically for coloring in existing designs. There are ten chapters in the book which deal with: Pencil Stroke types, Shading Techniques, Highlights on White and Colored Papers, Textures, Blending Colorings with Solvents, Blending Colors with Light-Colored Pencils, Basics of Color Theory, Color Harmony, Using Gray Colors to Create Selective Focus and Combining Mediums.